Download Dragon Ball Z 2 Super Battle game free from direct link. It is an arcade game which is published by Banpresto Co., Ltd. This is one-to-one fighting game. In this game you can choose your own fighter or player. Playing with your fighter, you have to defeat you opponent till the end. 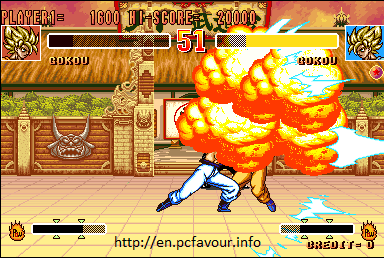 You can use different fighting styles, varieties and formulas to defeat your opponent. Each character has its own unique game ending. You have to face ten fighters as your opponent to reach the end. The last enemy is the quite difficult to defeat. The game becomes more difficult as you advanced toward the end.